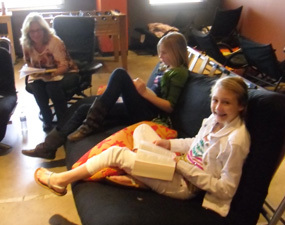 Youth Sunday School meets upstairs in the youth room on Sunday mornings during the 9:45 a.m. and 11:00 a.m. services. Senior High meets in Room 213 and Junior High meets in Room 211. 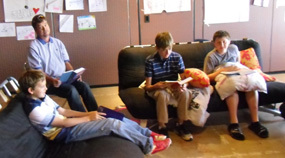 Do you have questions about what curriculum we use and topics we cover? Contact Christopher!